Now that the swimming portion of the summer Olympics is over, have you learned anything? Watching the coverage every day has been one of the greatest swim clinics any swimmer or coach could have ever attended. The underwater views of starts, turns, strokes and streamline’s were outstanding. 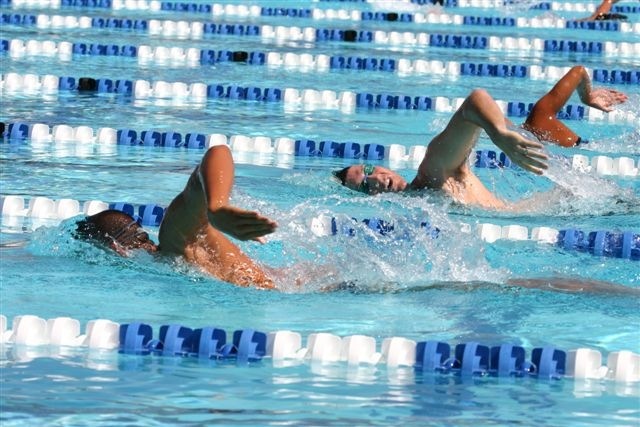 Every good coach out there has been saying over and over again for his or her swimmers to streamline. Well, proof of the pudding was the streamlines of all of the swimmers in all of the events. Ask yourself this question, ” Do I streamline every start and turn during workouts?”…For us who coach the answer is very obvious…most of you do not take streamlining serious enough. So now that you have seen and heard from Roudy Gains about the importance of streamlines, maybe, just maybe you will be more intense about your starts and turns at practice. Let’s also talk about what this coach and I am sure many other coaches have been preaching about…Kicking off your turns. Have you looked at the power that is generated off the walls when you kick at a high rate of speed, you don’t see any of the swimmers floating of the walls…do you? Did you look, as I looked at the stroke efficiency of these great swimmers…did you see the length , depth and finish of each stroke. I know that all they was talked about was the new swim suite and how fast it made all of them swim. However I want to talk about the perfect stroke technique and focus all the swimmers had….All of this was so evident in this great clinic….If you did not learn, shame on you. If you do not go back to you local teams and start this new season with an attitude of perfection in all that you do, shame on you. Now is the time to dream, but when you dream there are responsibilities. You are responsible for your own actions…..Now go do it!